Hi, Friends, wonderful day for you all! and Cottage Cutz Bella Leafy Branch. 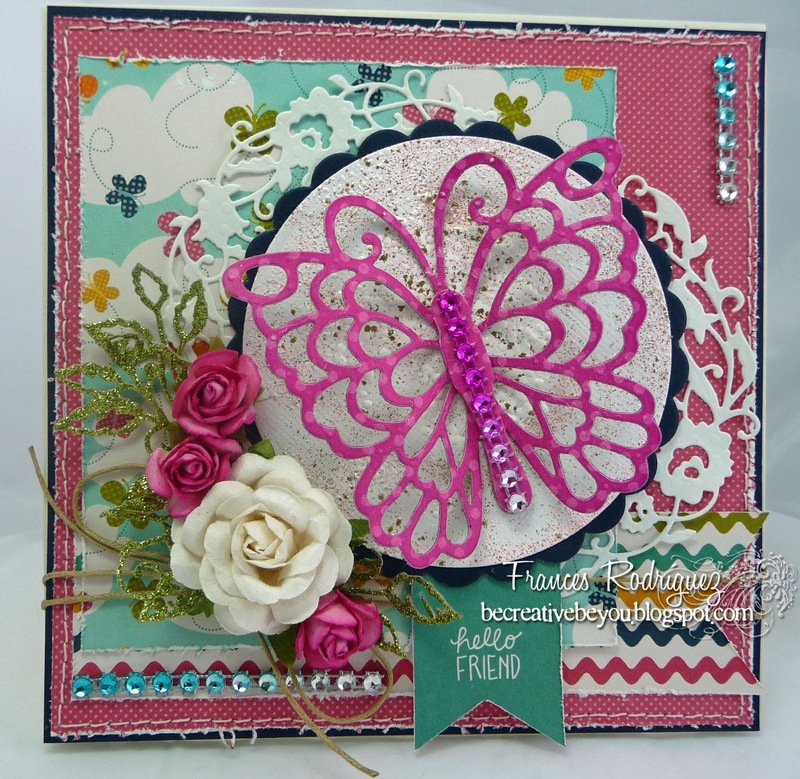 some frantage as a background for my butterfly die cut. 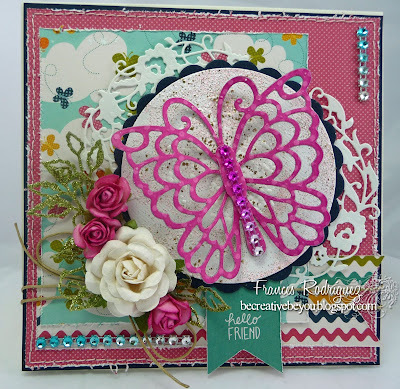 Beautiful card, Frances! 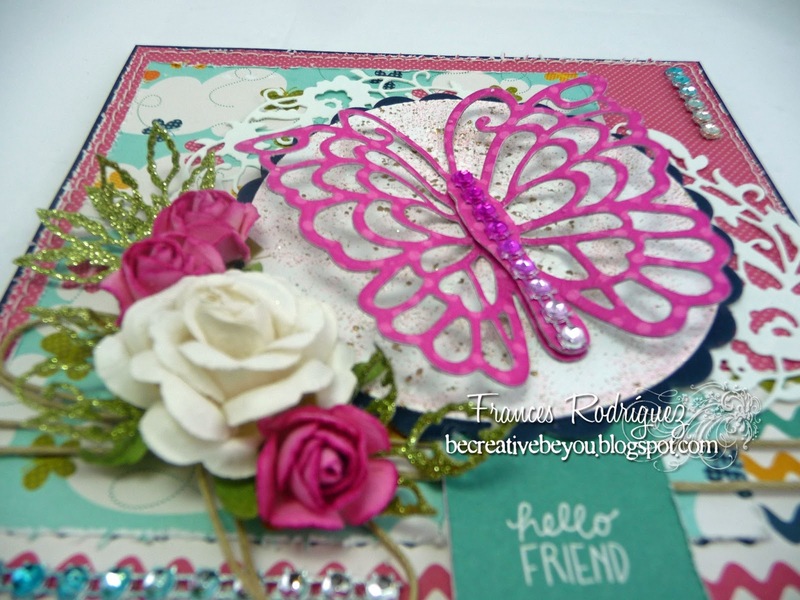 Love the dies used and lovely colors. Absolutely beautiful Frances!!! I LOVE the use of the dies, and love how you framed using the CC border die!! beautiful job!!! So colorful and rich. Great card. Frances this is gorgeous. Love the deep vivid pink of the awesome butterfly. Great job with the dies.